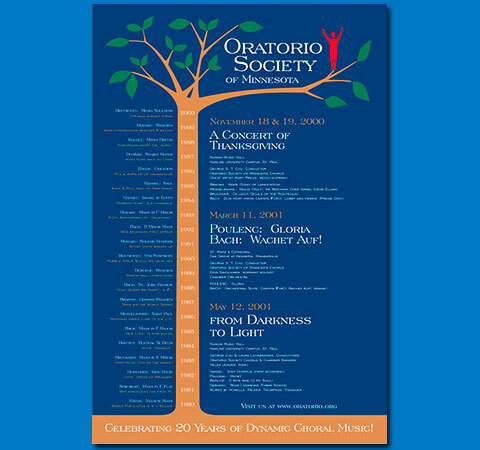 This choral group needed an eye-catching poster conveying its growth. The tree was used along with historic milestones. The red conductor is the group's logo. Link to pdf file.